located in the lower 30% of the principle display panel (or “front” of the bottle). 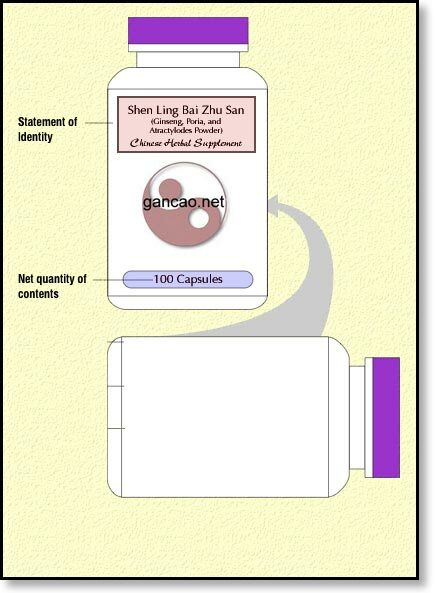 contents must be described in either quantity, weight (in metric AND US standard) or both. < 5 square inches, the smallest lower case “o” is 1/16″. > 5 square inches, the smallest lower case “o” is 1/8″. For our labels that are 4″ x 2″ the total space is 8 square inches. That’s much greater than 5 square inches, so we’re not going to use any type that is smaller than 1/8″ when measuring the height of the lower case letter “o”. Don’t assume that the point size as provided by your computer program has any usefulness in this regard, and don’t measure the type on your computer screen either. Print it out and measure it. That’s the only way to know for sure. In fact, anybody reading this from the printing business is now laughing hysterically at these warnings. Point size and screen resolutions vary widely, so print out your label to know where you stand with your lower case “o”. Next: just the supplement facts, ma’am.